For many years, people have been waxing lyrical about the benefits of adding fish oils to a dog’s diet. But what’s the truth behind these fatty acids. Can they really be as good as they’re made out to be? Or is there something fishy lying beneath the surface? Fish oils are oils derived from the tissues of oily fish such as salmon and mackerel. Specifically, they contain the omega-3 fatty acids eicosapentaenoic acid (EPA) and docosahexaenoic acid (DHA) and are a type of polyunsaturated fat. These omega-3 fatty acids – EPH and DPA – are known to be beneficial to your dogs’ health in a number of ways. Primarily, they act as anti-inflammatories, meaning they reduce inflammation in the body. They also strengthen the body’s immune system more broadly. In doing so, they can help dogs to better fight off and overcome infections, illnesses and diseases like arthritis and allergies. They also promote healthy joints which can help dog’s with arthritis. EPH and DHA are good for keeping your dog’s heart healthy and functioning properly too, and so can be a beneficial addition to the diet of dogs suffering from heart problems. 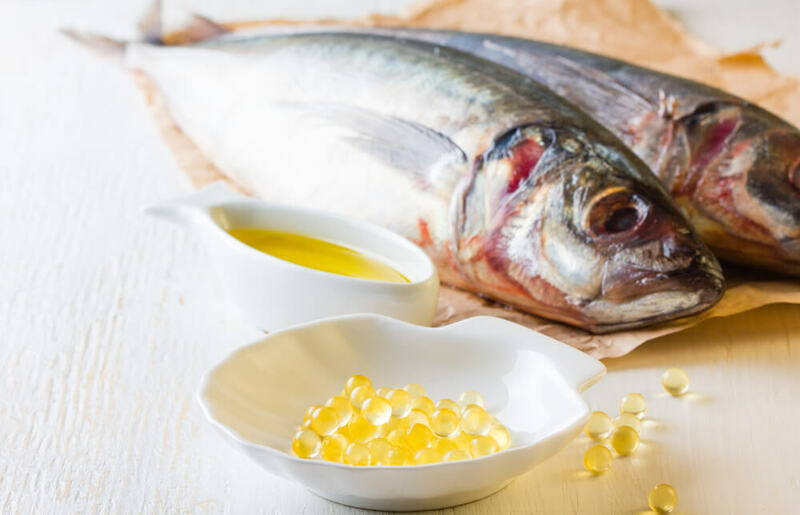 Fish oils – and in turn omega-3 fatty acids, particularly DHA – have also been shown to play a very important role in the development of the central nervous system (the brain). So much so that it’s been suggested that feeding fish oils to puppies can improve their memory retention and make them easier to train. On a somewhat more superficial, but none the less important level, fish oils can help dogs maintain a healthy, shiny coat and can play a role in maintaining healthy weight. So far so good right? Indeed – fish oils are incredibly beneficial for dogs in a number of ways. But as with anything, they can cause problems, especially if too much is consumed. One of the biggest problems they can cause is to hamper wound healing. Because one of the functions of omega-3 fatty acids is to thin the blood, if they are consumed in too high a quantity, they can alter and decrease platelet function. If this happens, it results in a dog having issues with their blood clotting – basically, it doesn’t clot properly. This can be a problem for dogs who suffer any sort of trauma, or dogs who are due to have surgery. Other, somewhat less severe side effects caused by omega-3 fatty acids include diarrhoea and gastrointestinal problems. It’s also important to consider what other medications your dog is taking before giving them fish oils, as they can sometimes interfere with these medications and how well they work. So while they have benefits, it is important to speak to your vet before you begin including fish oils in your dog’s diet. When it comes to which dogs should be given fatty acids, the short answer is all of them. The slightly longer answer is that while the vast majority will benefit, some are more likely to benefit from them more than others. Those dogs that are thought to receive a greater benefit from fish oils and omega-3 fatty acids are older dogs, who tend to be more prone to arthritis, and younger dogs and puppies, who’s brains are still developing and who are being trained. Larger breeds of dog are also thought to receive a lot of benefit from the inclusion of fish oils in their diet. There are two main ways you can include fish oil into your dogs’ diet. The first is by feeding them fish oil supplements, either in capsule or liquid form. These can be bought commercially and come in different doses. The second alternative is to simply include oily fish like mackerel, salmon, sardines, herring and anchovies. It’s also important to remember that in the same way not all dogs are created equal, neither are all fish oils. So whether you decide to give your dog fish oil supplements or to include fresh fish in their diet, there are a number of important things to consider about the fish oils themselves. Freshness: Like most things, fish oils can go off. If they do become rancid, they no longer work the way they should – and in fact can cause damage. In fact, fish oils that have become rancid can be pro-inflammatory and contribute to the development and progression of diseases you’re trying to treat and prevent. Dose and potency: Too much of anything – including fish oils – can be a bad thing. So if you’re thinking about including them in your dog’s diet, you need to speak to your vet about how much you should be feeding them. It’s also important to consider how much EPA and DHA are in the supplements or type of fish you’re giving your dog. Purity: The purer a fish oil, the better. That’s by and large, it’s better to feed your dog oily fish rather than supplements. With supplements, there’s a greater chance of contamination with things like heavy metals dioxins. Despite regulations being in place for fish oil supplements, not all of them meet there requirements, despite claiming to. Sustainability: In the case of supplements, it’s also important to consider if the oils have been derived from fish harvested in a sustainable manner. And that they haven’t been derived from any species of fish that are under threat. Cost is another contributing factor, and can for some people be a limiting factor to giving their dog fish oils. Good quality supplements can be expensive, especially if they need to be bought on a regular basis.